Dual head for easy access to inward facing valve stems. 4-sided with both PSI and KPA scales for easy reading at any angle. Compact tough metal construction for easy storage and durability. Fix-A-Flat Emergency aerosol tire inflator seals and inflates punctured tires in seconds. No need for a jack, spare tire or tools, allowing you to get off the road safely and easily. Fix-A-Flat is completely TPMS sensor safe and passes directly through the valve core freely. 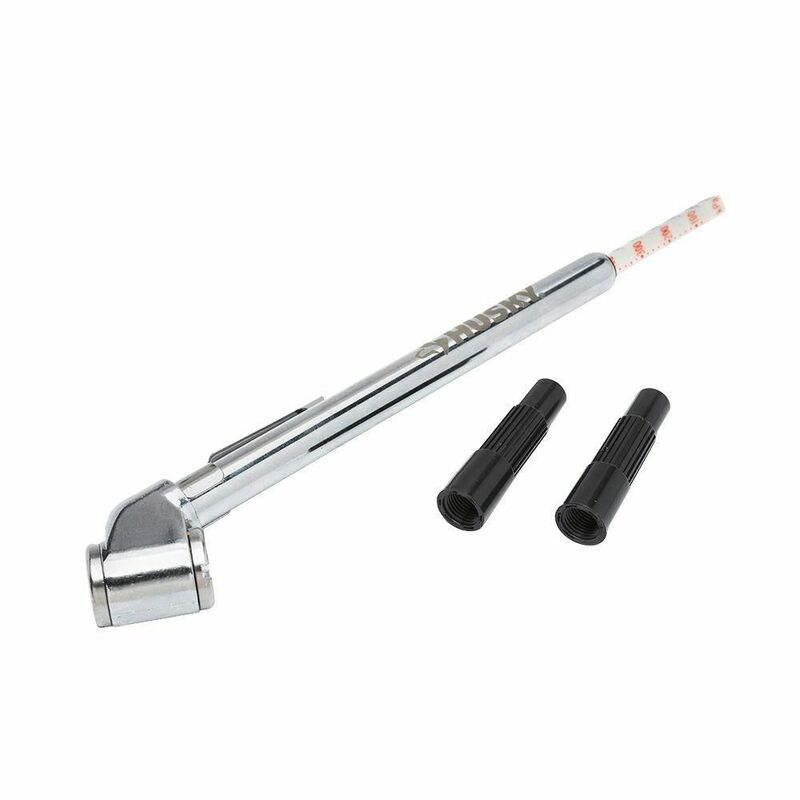 Tire Pressure Gauge Dual 10-120 Psi Dual head for easy access to inward facing valve stems. 4-sided with both PSI and KPA scales for easy reading at any angle. Compact tough metal construction for easy storage and durability.